In today’s uniquely challenging times, it is vital that we stay connected to what Eckhart Tolle calls our “essential nature”—the formless or transcendent dimension of Being that is the source of our highest wisdom. Despite the difficulties we may face on the surface, when we’re aware of the deeper aspects of who we are, we can choose to follow the flow of life instead of the stream of thinking . . . to free ourselves from mind-made suffering . . . and to open to a natural upwelling of peace and well-being independent of external conditions. 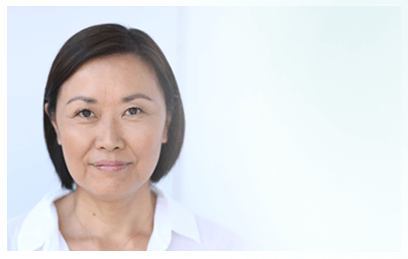 The Joy of Being is a six-day retreat with Eckhart Tolle and Kim Eng, where we will rest and rejuvenate in the beauty and stillness of nature, reawaken to life’s inherent joy, and strengthen our roots in Presence for the return to our daily lives. 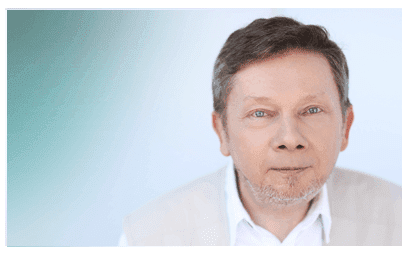 As Eckhart teaches, stepping outside of your usual surroundings and into a new and strange environment can be extremely conducive to the arising and deepening of Presence. Held in the awe-inspiring Canadian Rockies at the pristine Lake Louise, The Joy of Being combines Eckhart and Kim’s life-changing teaching sessions with structured activities and opportunities to accelerate personal transformation and spiritual awakening. Here, you will find yourself in the ideal setting to “let go of the burdens of the little me” and make Being your top priority. The Fairmont Chateau Lake Louise is a world-renowned mountain resort situated on the shores of Lake Louise high in the Canadian Rockies. Surrounded by soaring mountain peaks, the majestic Victoria Glacier, and a glistening emerald lake, the iconic Fairmont Chateau Lake Louise hotel is located in Alberta's Banff National Park and is recognized globally for progressive environmental stewardship and responsible tourism. This pristine natural environment will offer beauty and comfort to enhance your experience of renewal and rejuvenation while on retreat. Please note that our special lodging package inclusive of a private group lunch for retreat participants is full. Reservations are now based on hotel availability. If you would like to be added to the waitlist for the run of house room categories, please call 1.800.441.1414 to have your name added. Please feel free to check back with Fairmont Chateau Lake Louise on a regular basis as well to see if any rooms have opened up. We strongly encourage you to book alternate lodging in the area as soon as possible. We suggest the option to stay a 45-minute drive away in the town of Banff. As the main town in Banff National Park, Banff has many hotels, shops, and restaurants. It is a lovely destination in itself and, provided you have car transportation, can be a good alternative. Alternate accommodations in Lake Louise and Banff can be found here. Lunch tickets will be available for purchase for guests staying at alternate accommodations. If you would like to find a roommate, join our MeetUp group to connect with other participants. A daily group lunch will be served in a private dining room for Eckhart Tolle retreat participants beginning on Monday, May 21 and ending with lunch on Friday, May 25. Lunch tickets will be available for purchase for guests staying at alternate accommodations. Gluten-free and vegetarian options will be offered. For breakfast and dinner, guests are encouraged to dine at one of several restaurants and casual cafes at the Fairmont Chateau Lake Louise. A dining reservation desk will be available to ensure access to your preferred restaurant. Learn more about all onsite restaurants. The Fairmont Chateau Lake Louise is located approximately 2.5 hours west of Calgary, Alberta via the Trans&hyphen;Canada Highway. Self-parking is available onsite for $30 CAD ($24 USD) per night. In addition to receiving daily teachings from Eckhart and Kim, a rich and meaningful part of your retreat experience will be joining in community with other participants to spend time connecting with the grandeur, beauty, stillness, and vitality of the awe-inspiring natural surroundings. These optional activities will be offered privately to retreat participants. All activities will be led by professional local guides and transportation will be provided to and from destinations. All activities will be scheduled at times that do not interfere with the retreat teaching sessions. Registration and payment for these activities is separate from your retreat tuition. © 2018 Sounds True. All Rights Reserved.